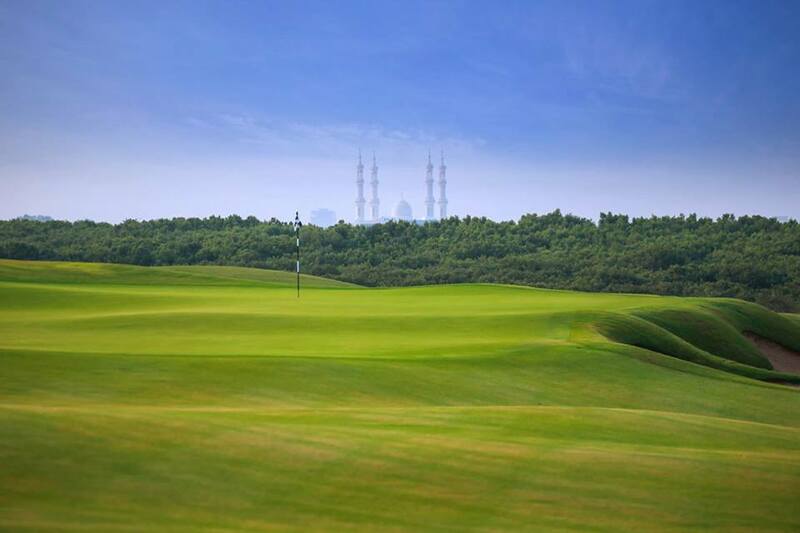 Golf Inc. announced it will honor five golf courses from four countries in this year’s Development of the Year competition, including Nicklaus Design’s Al Zorah, the firm’s first-ever golf course in the United Arab Emirates and the first golf course to open in the emirate of Ajman. Nicklaus Design is the annual Golf Inc. competition’s reigning winner. Quivira Golf Club—the latest Jack Nicklaus Signature Golf Course to hit Cabo San Lucas, Mexico—was named 2015 “Development of the Year” by Golf Inc. Nicklaus Design had three of the six global finalists in 2015, including third-place finisher Trump Golf Links at Ferry Point, the public championship layout in The Bronx, New York, and finalist Nicklaus Club-Beijing, the Golden Bear’s hugely successful turnkey redesign project in China. The 2016 competition, Golf Inc.’s 15th annual contest, highlights the best new private and public golf courses in the world. It judges new courses based on development vision, aesthetics, routing and sustainability, which examines the economic and environmental impact the courses will have for years to come. Finalists in addition to Nicklaus Design’s Al Zorah are Bluejack National, Cabot Cliffs, Cape Wickham Links, and Rockwood Community Links. The United States still made a good showing when it came to entrants; however, most honorees were international projects. Other entries came from Singapore and several U.S. states, including California, Iowa, Louisiana, New Jersey and Utah. In addition to open nominations, the Golf Inc. staff identified courses that received accolades and invited the developer and architect to enter the competition to ensure the best projects were part of the competition. All five courses to be named finalists will be featured in the March/April issue of Golf Inc. Magazine. There will be a first, second and third place in addition to honoring two finalists. As a newcomer to Golf Digest Middle East’s top-10 list, Al Zorah is already proving its loftiness ahead of Golf Inc.’s Development of the Year contest results. It is one of the biggest stories in Golf Digest Middle East’s fourth biennial ranking of the best courses in the Middle East—ranked No. 10, it is the only newcomer to this year’s list. To arrive at the top-10 ranking, Golf Digest Middle East asked 28 panelists to judge every conceivable element of the region’s 25 golf courses, from the consistency of their conditioning to the intricacy of their design and their effectiveness as an all-around test of golf. Over half of the panel has played Al Zorah at least once, and most expect it to be a big climber once given time to mature. “The childlike sensory overload that comes with new ‘toys’ hits you as soon as you roll out across the wooden gangway to Ajman’s newly-opened Al Zorah Golf Club,” said golf writer and editor Shaun McGuckian.